Go Sally! It’s your birthday! We gonna Party like it’s your birthday! Hi guys! Yup, today is my birthday. And I just turned 35. I’m not hiding my age anymore o. There’s no use. I’m getting old jare. Anyhoo, I am here with an entire chapter of In The Name of Papa as a birthday gift. You guys stopped at episode 16. And just in case you haven’t gotten the memo, Love, Your Enemy is now In The Name of Papa. The book will be released on the 21st. Excited, anybody? Well, I am. Please, enjoy this mouthwatering excerpt. The media wing at the BCC headquarters before Love began to run the church, boasted of a single room which the media head, two writers and the production crew, together with their equipment, shared. Love, upon resumption of her duties had given out her office to the team and promised an entire annex for them when the new administrative complex on the permanent site was completed. The production crew then took up space in her office, changing the entire look, but leaving a sofa for sleepovers on vigil nights. It was on that sofa Love stretched out after she left the church service just as it began. Morning sickness came down hard on her that made her unable to sit still. The guys in the control room didn’t think it unusual that she walked in, gave no explanation and took to the sofa. She had already built a relationship with them as she did with other units in the church. Love was the type of boss that liked to be involved with the working processes of her staff as much as she could. The production crew consisted of a team of seven males and two females, all unmarried and young. She found them to be the most dedicated amongst the church workers. They used to be understaffed and disorganized until she came onboard. She gifted them with three interns and provided everything they needed to get their job done. This endeared them to her; they adored her with childlike fascination. She accepted a cup of instant coffee offered to her by one of them. A hearty smile filled her face. The ban on her coffee life by Leye was adversely affecting her moods. She was determined to cheat her way through it at every given opportunity. Her first pregnancy had seen her not going a day without coffee, and she had birthed a healthy baby without complications. She felt Leye was being unnecessarily caring. He had hidden her assortments of coffee beans and filled the kitchen with varieties of teas that were safe and specifically made for pregnant mothers. He also got her supportive bras, pregnancy pillows and a list of other items she didn’t need. But she wasn’t going to complain. She understood and appreciated his reasons. “It’s time!” someone in the room announced. Love rested her eyes on the video monitor wall which held a series of plasma televisions and computer monitors. She focused, particularly, on what was called the output monitor that had the main feed. Presently, it displayed Papa making his way to the stage after being invited up by Adonijah. The view on Papa became sharper. Love’s eyes shifted to another screen and saw a panoramic view of the church as the camera which was held up by a crane, panned slowly over the entire hall. It was a full service. Several members from the Ikeja branch were present. Press and visitors were also attending. Everyone wanted a piece of George Omotosho. The door to the control room opened and the editor who had written out Papa’s speech came in with a copy of said speech. “Good morning,” Love replied, just as Papa began. “Brothers and sisters, I greet you in the name of the Lord, this lovely Sunday morning,” Papa spoke. Absolute quiet came on. He halted, staring into the teleprompter. “What’s he doing?” the editor asked. “He’s about to abandon your speech,” Love answered. “I had a sexual relationship with someone other than my wife twenty-four years ago,” Papa announced. “I was a forty-four year old man with a wife and four children,” Papa continued. “I was a pastor. I had a church under my care. I had younger ministers looking up to me. And yet, I took a young twenty-four year old lady, perverted her mind and led her into an immoral relationship with me. How did I do it – sleeping with her in hotel rooms and coming to church to lead God’s people at the same time? I don’t know. But I did it. Like David, God’s beloved, I strayed. I had followed my own lust and given up control of my soul to the flesh. “I understand,” Love responded. “But hold your complaints.” She fixed her concentration back on Papa. “This is hard for him,” Love murmured, chugging down her coffee which she had suddenly lost taste for. Love rose to her feet up abruptly. “Any problem?” the editor asked. She hurried out and found her way to Leye’s office, shut the door and vomited in the restroom. When she stepped out, she turned on the television and continued with Papa. But she didn’t pay much attention. She sat behind her husband’s desk and sent out a prayer for the old man, and for Alice, whom she had heard was handling the heat of the scandal poorly. By the time she was done praying, Papa was bringing his confession to an end. There came applause that started quietly but spread through the hall in loud ovation. Love watched as members of the congregation, one after the other, rose to their feet in continued applause. She smiled. “Please, remain seated,” Papa instructed, and like zombies, they settled down again. Still smiling, Love turned off the television and began out. She walked past the control room, out of the building and back into the cathedral. When she sat beside Leye, he took her hand. The crowd broke into a short round of applause. “Her personal life is the mirror of that upstanding commitment. But asides being all that, Alice is a woman I deeply love. My fiancée. Yes, we are to be married soon. So, take down your lies, retract your statements, delete your libelous accusations about her from the web,” he said facing the camera pointed directly at him. “Or I will use everything I have within my legal parameters to bring you all down. Read my lips. I am not joking. This altar is the Lord’s and should not be used to issue threats; and that is why I am not threatening anyone. I am simply telling you what I would do. Leave the future Mrs. George Omotosho alone or face my wrath. Love went up on her feet first, and everyone else followed as Papa made his way back to his seat. Pastor Adindu took to the stage. The church began to go wild. The frenzy that had now taken over the entire building made it difficult for Adindu to continue. Love, still standing on her feet, observed the scene with pleasure. Things had gone better than she had anticipated. She would sleep well at night knowing a huge chunk of the debris had been cleared. But her eyes caught Adonijah’s face on one of the huge screens as the overhead camera panned his way. Having had numerous encounters with him, more than she would have loved to, she could now read his expressions fine. If her suspicions were right, he was presently bowled over by the response and show of love Papa was getting from BCC members. It was widely known that he, Adonijah, was the man of the people, having bought their loyalty with charitable works. But what he hadn’t been able to compete with was the love the people naturally had for Papa. He was a man easy to follow and respect. He never had to break a sweat to be adored. Love enjoyed the look of perplexity on Adonijah’s face. If he ever was going to fill Papa’s shoes, he had a long way to go. He had come to her in the morning, just as she had emerged from a shower, wondering what church to visit. Her eyes had moistened at him before she drew him for a hug. “Asher?” She made no show of hiding her surprise. He handed her a gift bag. They spent the morning together, bonding over breakfast and music. Asher did most of the singing while Phoebe sat in awe and pride, harmonizing where she could and for the remaining part, blushing at him like one falling in love for the first time. She saw him as something partly made up of magic. He used her rusty, old guitar and created heartfelt music with it. Phoebe couldn’t have been happier. The dress she had on was a long, flamboyant maxi dress that had blue as its base color. She stood before her mirror and pondered briefly over changing into something else. But she stuck to her decision in the end. She picked a small vial of perfume from the gift set Asher had given her, doused on some of it behind her ears and on her neck and picked her purse. Arm linked in her son’s, Phoebe enjoyed a leisurely stroll down the wide aisle of the Lekki shopping mall. It was lined with high-end stores that didn’t arrest her attention. She was more interested in the ice-cream cone in her hand, topped with chocolate ice-cream and another flavor that had some alcohol in it. Asher had chosen the combination for her, pronouncing the name of the other flavor twice over so that she would remember it, but one taste of it had her forgetting the name. She was now set to go home but Asher insisted on taking her shopping. “The movie was not that bad,” he said, responding to her statement. Asher laughed at the way she deflected his questions. Asher made an abrupt stop before a cosmetic store. He pressed his nose to the glass wall like a little boy. She patted her hair, looking at her refection on the glass door leading into the store. There was a lady inside already smiling at her. Phoebe was touched by his words. Asher pushed the door and together they went in. He was given a divan to sit on while Phoebe got attended to. He ignored the pile of magazines in a rack beside him and entertained himself with his phone. He didn’t know how long he waited, but soon, the makeup artist in the store was calling his attention. He lowered his phone and looked up. Phoebe swiveled around to face him. He showed approval and amazement. “How do I look?” she asked, chuckling. He winked. Phoebe and the makeup artist laughed. He went over to them and took several selfies with Phoebe. They stayed a bit longer as the store attendants assembled a box of makeup and cosmetics for Phoebe. “This is too much, Ash,” Phoebe complained. He ignored her, paid the bill and guided her out of the store. And just as they stepped out, Asher’s eyes strayed upon the form of a person from his past. His chest tightened as he looked away. There was sudden urgency to leave the mall. “Asher?” the person called. She was a girl about his age. “Is there anything you want to pick for the house?” Asher asked Phoebe, pretending not to have heard the girl. “I think that girl just called you.” Phoebe nodded in her direction. “Asher?” His name was called a second time. Asher forced his head in her direction, and the moment their eyes met, he was attacked by memories from his second year as a student in the United States. His mouth went dry at the sight of her. Large, round eyes stared back at him. Skin with a shade of almond brown, glowing but not-so-spotless, reminded him of mornings his eyes did nothing but worship her in all her chocolate delectableness. He recalled how she would smile back like she thought the world of him. And she certainly did. He was her sun, moon and star and everything else in-between. But he had used her solely for pleasure, cheating on her unapologetically and leaving her with a broken heart. For lack of what to say next, he introduced Phoebe to her. There was a moment of awkward standing and staring. “We’re in a hurry. We should go.” Asher linked his arm with Phoebe’s. “Can I get your number?” Barbara requested. “My number… Um… Okay.” Asher called out his phone number and she gave it a dial. His phone rang. Asher began to walk away even before Barbara disappeared. “She’s so beautiful,” Phoebe said. “She’s my ex,” Asher revealed and regretted it immediately. Phoebe began to ask questions about Barbara. He lied in most of his responses, giving nothing away about the relationship. On their way home, they listened to the radio. There was a request show on air; a collection of random songs was played at the behest of listeners who called in. For a while, Phoebe was taken by her thoughts, until a song came on that brought her attention back into the car. “I love her voice and the song,” she stated, head bopping to the music. Soon she was humming along, and because she caught on to songs so easily, she was able to mouth some of the lines in the chorus. When the song came to an end, she asked for an encore. Asher tethered his phone to her car’s stereo and in seconds he was streaming Miley Cyrus’ We Can’t Stop for her entertainment. The song put Phoebe on a high she couldn’t explain. Asher didn’t join in her excitement, but he was entertained by her all through the journey until he pulled up outside her home. He turned back at the front door, leaving her with a hug. When she got in, Phoebe sat on her bed going through photos of Asher, from his infancy to the present. He had placed them in an envelope, put together with a toilette set in the gift bag he had presented them to her. She went through each photo with a different kind of smile. Sometimes she stopped and sobbed, feeling pain over the fact that she had missed huge milestones in his life, angry at all the people who conspired to take them away from her. Other times, her simple smile stretched into laughter. Her phone dinged. She peeped at it. A message had dropped in that made her smile vanish. She returned the pictures into their envelope and got off her bed. In a short while, she was outside her house, flagging down a taxi. A yellow one came from across the street. She read out the address of a house in Ikeja from her phone. The cab driver haggled over the fare with her and begrudgingly, she gave in to his bargain. She was in a good mood. Normally, she would pay half the charge to the same distance. Phoebe rested her head and stretched her legs in the backseat of the cab, coasting deeper into the past, to the moments etched in her mind forever, when she had felt Papa’s kisses and had been held by him. Those had been the best moments of her life, but she was coming to a place of honesty with herself. She was ready to let go. Nonetheless, she mused over them one last time and continued to do so until she arrived at her destination. She reluctantly paid her fare and walked into a large compound in which expensive cars were parked. She walked pass them to the front door of a duplex that towered over her. Taking in a heavy breath, Phoebe pressed her finger on the doorbell that stood an inch below her head level. 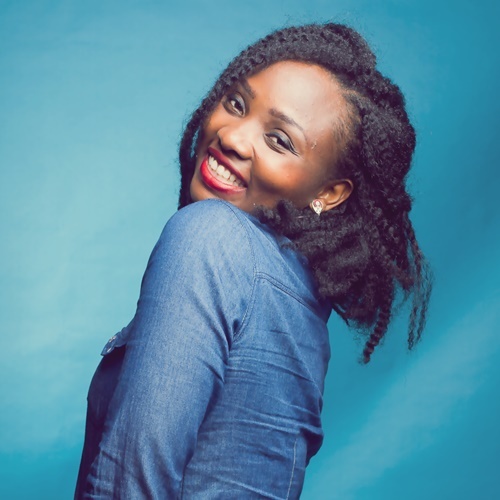 The door opened, and out came the smiling face of Blessing Kanayo. “Sister Phoebe,” she greeted. In her hand was a glass of wine. Phoebe let herself get hugged by the woman who was clothed in her usual manner of being sensuous. Her dress stopped a little above her knees, and on her chest was some cleavage. “How are you, dear?” Phoebe asserted her elderliness in a deep tone. Blessing caught on. “I was spending time with my son,” Phoebe said with some motherly pride, walking in. Phoebe curtly ended the conversation by continuing into the house, even though it was her first time there. She found the living room, drawn in by the voices of people within. Upon peeping in, she was met with familiar faces. She counted those present and they came to an impressive number of twelve. Four of the men were once members of the dissolved board of directors, each of them moneybags in their own standing. When it came to cash donations in Bethel Christian Center, they could easily be counted amongst the top ten that gave regularly – and bountifully. Last week, Blessing had invited Phoebe for dinner in some unknown restaurant and those particular men were also present. After each of them introduced themselves to her, she was asked to go public with the story on Papa. “We’ll give you anything you want,” said the one called Cyril. A thorough-looking man in his sixties with cold, dark eyes and an imposing personality. And that had ended Phoebe’s conversation with them because she had left their presence in annoyance. Afterwards, she made a call to Blessing and threw hostile words at her. Phoebe hung up. She ignored Blessing’s subsequent phone calls – even after she went public with her story. She had only decided to give ear to her and her cohorts when Cyril himself called her earlier that morning. Something commanding and ruthless in the man’s tone had always left her intrigued. Curiosity, also, had dragged her to the Kanayos. And as she stood at the entrance of their living room, she noted that Obi was absent. “Go in.” Blessing came up behind her. Phoebe held her position at the door. Phoebe presented a firm stare. Phoebe gave the people in the living room a glance and returned her eyes to Blessing who was sipping her wine. She threw a dirty look at her that went from the top of her head to her feet. She hissed and began towards the front door. Phoebe turned back to the door. She made to grab the handle but the door burst open and Adonijah stepped in. He was as surprised to see her as she was to see him. She stomped out of the house in anger. Her phone rang. It was Asher calling. “Baby boy?” She forced on calm to her tone. She hung up, gave the Kanayo resident a glance and then continued out, grumbling as she went. Adonijah spent his morning in silence. His breakfast was left untouched and so were the sermon notes he had brought out to the dining area to work on. He sat staring emptily into space, not responding to anything around him. Maggie had walked by a couple of times and had now returned to gawk at him in typical dramatic fashion, swinging her head this way and that as she waved a hand in his face. “My name counts for nothing,” Adonijah spat. Adonijah gave her a look that brought fear to her face. Maggie left him and he freewheeled back into his thoughts. The meeting at the Kanayos the day before was the reason for his strange behavior. In a hushed session that dragged well into the night, Adonijah was reeled in slowly into the plan to break away from BCC and start a new ministry. They explained that they wanted him to be General Overseer. He had laughed at their idea at first and told them it was going to fall apart as soon as it started. But when they laid out the plan, and how they were going to cause a major falling away of the members of BCC, just to bring them into the new ministry, Adonijah’s interest was arrested. Adonijah had stayed silent, giving permission to her words to make a residence in his mind. And she went on, until she worked her magic completely into him. “But why me?” He looked into the faces of the men and women before him one after the other. And the words sank in, upon which he mulled all night and all morning. The defectors, whom he had named The Other BCC, had a solid plan. He had been let in on their blueprint and it seemed marvelous. Only on paper. For it to come to reality, the plan needed him. He was to cause the major falling away from BCC. It all rested on his shoulders. And this was why breakfast was the least important thing on his mind this morning. Happy birthday mama, long life and prosperity. Have a beautiful birthday. God bless you. Happy birthday Sally.. wishing you the very best of the best.. May you life be studded with goodness and grace extraordinary.. Happy Birthday MA. Long life and prosperity. God bless ur new age………….. The story is getting more interesting. happy Birthday Sally. God Bless…………………. Can’t wait for the book. Happy birthday Mami. Compliments of the day. Love the except. Can’t wait to buy the full book. Much love for You. Happy birthday beautiful Sally. God bless you with many more happy years. Congratulations on the launch. I can wait…impatiently. Happy birthday beautiful. With long life will God satisfy you and show you How Salvation. I can’t wait for this book to be out! May the new year see your heart desires and that of the good lord for you granted. Happy birthday mentor. Many more years in good health, wisdom and ink to your pen. The story is only just beginning with this episode. May God, in His infinite goodness, bless and uplift everything about you. Happy birthday Sally! Thanks for this beautiful episode! Happy Birthday Sally! God bless you immensely. Welcome to your best year yet. Absolutely loving this series, I cannot wait for the 21st. More power to your elbow. Thanks for this wonderful surprise, we should be giving you birthday gifts rather you gave us this! Happy Birthday to you dear Sally, may your days be prosperous. Have fun on this day of yours! ? ? ? Happy birthday Sally, may the good Lord bless you. Glad to read from you after a long time. Happy birthday Sally, God bless you always. May each new day bring greater success for you. We anticipate the 21st. My dearest Sally, it’s great to know we have some things in common… Here’s wishing you a happy birthday. May all things become new for you, God will daze you beyond your imagination. Thank you for the excerpt… Can’t wait for the book to be out. thanks, Sally, and happy birthday! Happy Birthday to you, LLNP. Thanks for this I really enjoy. Kip on Existing Ma Sally ???? Oya lemme go & read now ??? Happy birthday beautiful Sally.. Hope you had an amazing day celebrating. Thanks sharing your extraordinary talent with us. Happy birthday Sally, 35 has never looked better. 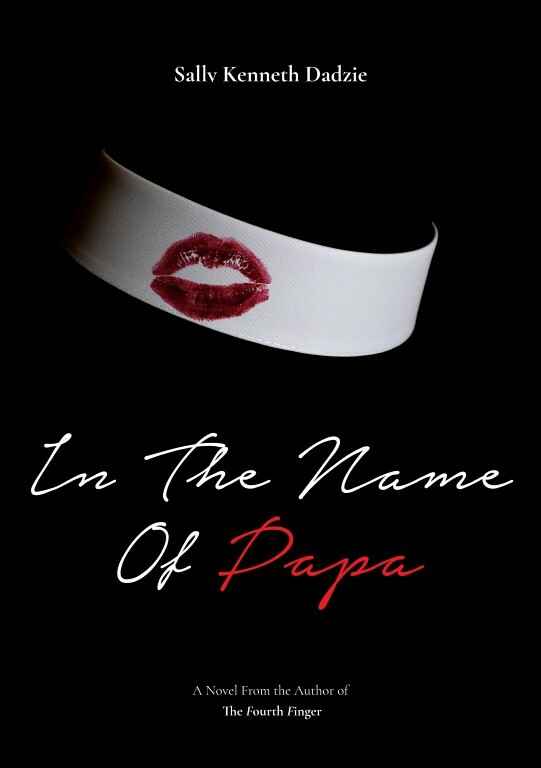 I’m so looking forward to “In the Name of Papa”. Been keeping tabs on Magnus about the release date?. I would ordinarily say i can’t wait for it’s release, but i have decided to wait because, reading and savouring every word of it is the gift i promised myself this month, as i believe it would be well worth the wait. My fingers are itching to refill my okadabooks account. Have i said you are awesome sally? Because you are?? Happy Birthday to u Sally llnp God bless u. Happy birthday Sally! God bless your new age! 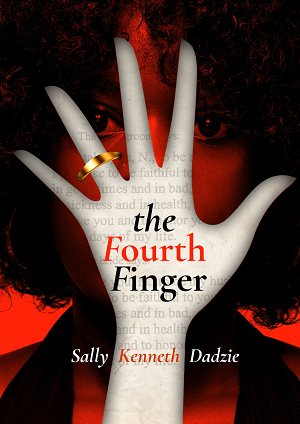 Happy belated birthday Sally, God bless you… I’m eagerly waiting for this. Happy super duper birthday Sal, many more blessed years dear. Lots of love from me to you. Happy birthday in arrears ma,long life and prosperity. Hope u had a great day and more awesome years ahead. Your work brings me comfort always. Thousands of times you’ve made me smile no matter the mood I may be in, be it good or bad. May you always have reasons to smile. May God’s favour, grace, love, power, strength and mercy speak for you now and always. Live long, flourish and prosper ma’am. Sending you loads of kisses and hugs from this side. Happy Birthday in arrears ma’am. Thanks for this special episode, v bin refreshing the site for weeks now. You made my weekend❤counting down to 21st ? Happy birthday Sally . Wishing you the very best in this new year.. I wish you a graceful and blessed life. Happy Belated Birthday Sally… May good ideas never run out of you..And may God continue to bless you. Happy birthday Sally, wishing you the very best in life, my the Lord in his infinite mercies continually, guide, bless and keep you, may all your dreams become a reality bigger than you ever imagined. Have fun and God bless you always. Can’t wait for the 21st to buy the book. More of God’s Grace and Blessings.. Happy belated birthday to you Sally! Many happy returns of the 13yh of October. Thank you for the book, in advance. Sooooo can’t wait to read the whole book ??? Wishing you all round joy and happiness. You ma’am Sally, has won a place in my heart. You’re one of the writers that captivates me…sometimes if not all the time I marvel at your rare gift. I hope one day I’ll get to read all of your works. Happy belated birthday Sally, Your cup shall never run dry in Jesus name amen!! Happy birthday my love! I hope you had a great time. May this year bring you joy ?? Happy belated birthday Sally, God’s blessing in the new year. Wow, Aloy Aloy Aloy be not deceived o.